Archbishop Desmond Tutu must be one of the busiest octogenarians in the country, with his life well documented and every word uttered in public life scrutinised. A new photographic exhibition, #TUTU, intends to frieze a few moments from his busy schedule, prayer and personal time. #TUTU opens next month at the St George’s Cathedral where the celebrated human rights activist offers church services on Fridays. The exhibition comprises views from the lense of local freelance photojournalist Sumaya Hisham. It is part of a range of events held in relation to Women’s Day next month. 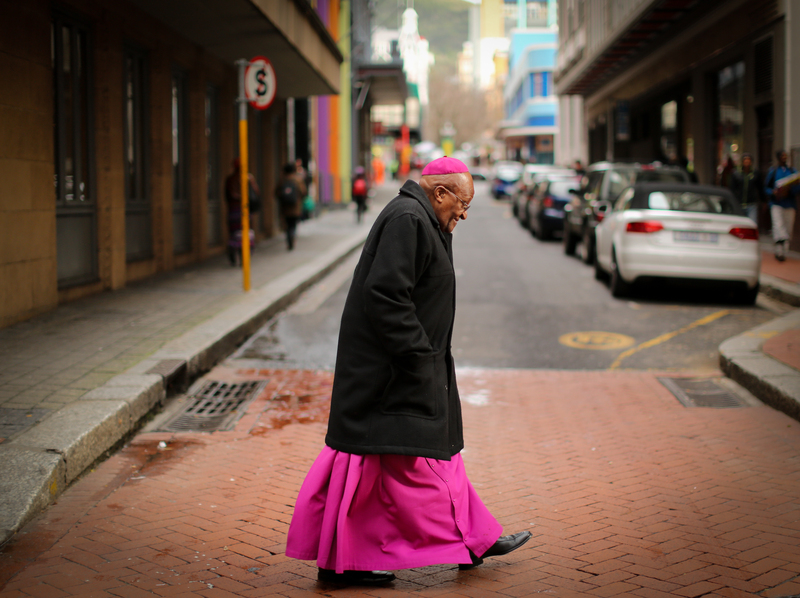 Hisham has been documenting Tutu’s public life for almost five years. As a photojournalist she has reported for international news agencies on his activities. Hisham recently spent three weeks “shadowing” Tutu to capture more intimate moments, away from all the other cameras. But that was not an easy task, she says. “I spent a couple of weeks photographing him at his house and at various events… I just wondered when he ever takes a rest. He’s 82 years old and goes from one event to the next,” says Hisham. Her portrayal of Tutu is presented in three parts: “a man at prayer, at man at work, a man at rest”. “Prayer is where it all started for him, before he became an activist. 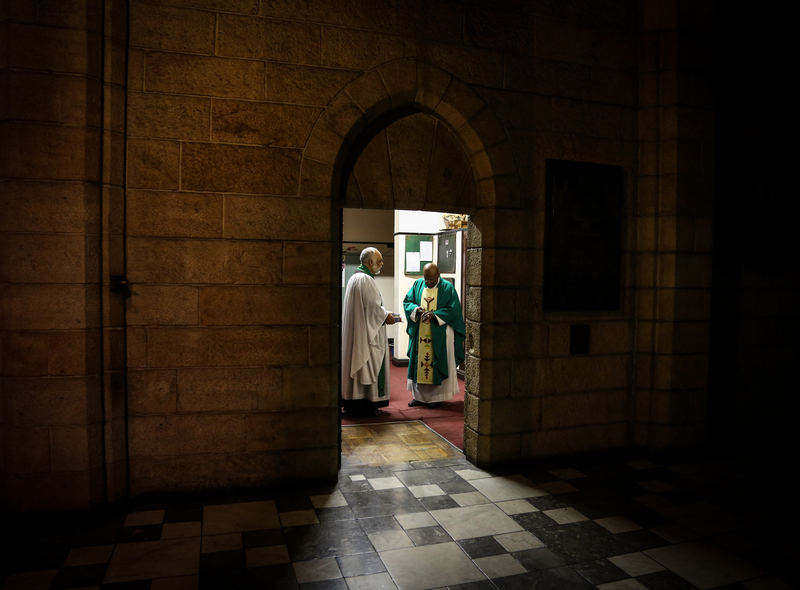 I photographed the archbishop in the (St George’s) Cathedral. He has a service most Friday mornings and calls that his quiet time,” says Hisham. Tutu’s schedule meant Hisham was never left wanting for images that focused on the man at work. But she was also able to notice when he was really wearing his work face and when he was just being himself. “He shows us a lot of what he wants us to see. He has a persona that he shows and we see in public. Sometimes you would notice that we tend to get that little bit of him coming through,” says Hisham. Her hopes for building a more personal body of work was hindered by Tutu’s busy schedule, says Hisham. “I was hoping for a lot more quiet time but that wasn’t possible. We had only three weeks and he was very busy. I went to his house but didn’t really get private time,” she says. Hisham says shadowing Tutu “didn’t feel like work” at all. “It was amazing to be around him. He has an aura and you can feel this piety in him. He is such a humble person. It was a privilege to be allowed into his space,” she says. Hisham’s photos are mostly in colour, with some black and white images too. “I felt his vibrancy and energy just seemed to translate better in colour,” she says. She adds: “He has the most amazing sense of humour. He sees the light side in everything. He tends to joke a lot. I was laughing so much. And he has such an infectious laugh. 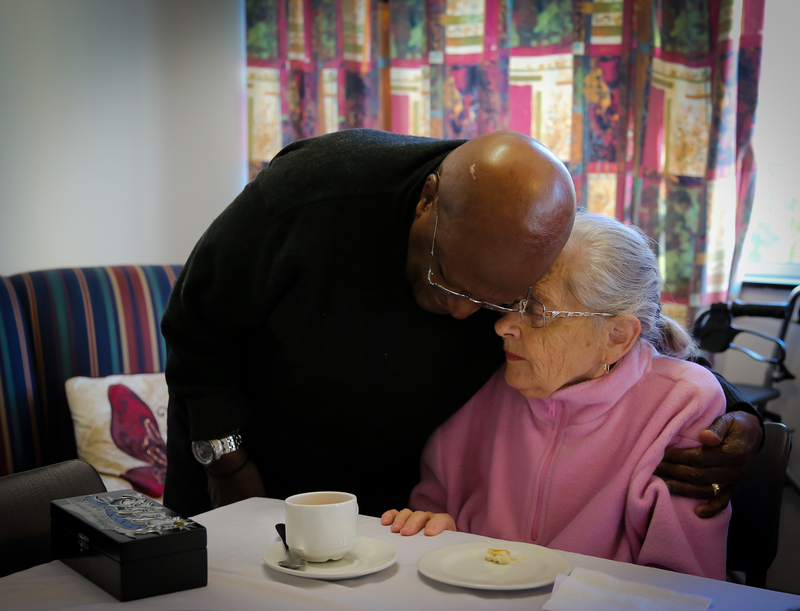 Tutu is depicted very much as a people’s person, well loved and able to make almost anybody feel comfortable around him. And therein might be the secret that keeps him going. #TUTU is supported by UCT’s Centre for Curating the Archive and the Institute for Justice and Reconciliation. Hisham’s photos will be sold to raise funds to fix the roof of the St George’s Cathedral and also to assist the work of the Desmond and Leah Tutu Legacy Foundation. The exhibition opens to the public on August 5 at 4pm, with Tutu in attendance.